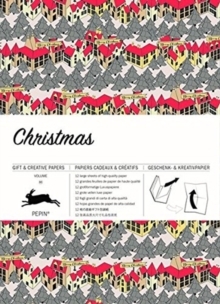 PEPIN gift and creative paper books all contain 4 pages of introduction and 12large sheets of very high-quality wrapping paper. They can easily be removedfrom the books by tearing them along a perforated line. The wrapping papersare folded to fit into the book; when removed and opened they measure 50 cmx 70 cm (191/2 inch x 271/2 inch; a standard size for gift wrapping papers). Depending on the theme, we have selected a suitable light-weight paperquality. For example, papers with designs in gold, silver or bronze are printedon silky art paper on which the inks show to their best advantage. 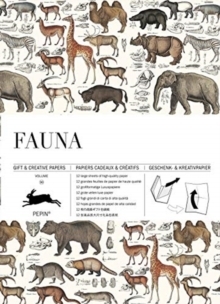 Designs withan antique or hand-made feel are printed on high-quality creamy offset paper. PEPIN(R) papers make your gift package look very special.  In addition, ourpapers are suitable for scrap booking and all sorts of craft projects. Eachvolume contains 12 different, exceptional designs.